Open-mode fractures in sediments and rock occur both in natural processes and in engineering practice. In contrast to long planar fractures predicted by solutions in homogeneous media, laboratory and field observations often evidence complex and non-planar open-mode fracture networks in geological media. One cause of fracture complexity is the heterogeneity of material mechanical properties. This study focuses on the effects of mineral dissolution on pore structure modification in heterogeneous porous media and ensuing changes on fracture propagation characteristics. We performed semicircular bending experiments on limestone samples pre- and post-acidizing, mapped 3-D pore structure with X-ray microtomography, and used a finite element formulation based on the phase-field approach and linear elastic fracture mechanics to model initiation and propagation of open-mode fractures. Semicircular bending experiments on acidized carbonate rock samples show that non-planar fractures follow high porosity regions and large pores, and that fracture toughness correlates well with local porosity. Numerical modeling shows that a direct relationship between fracture toughness and porosity permits replicating fracture stress intensity at initiation and non-planar fracture propagation patterns observed in experiments. The results of this study indicate that mineral dissolution can affect fracture propagation patterns and that a coupling of mechanical and reactive processes in porous media formulations can be achieved through porosity and toughness. 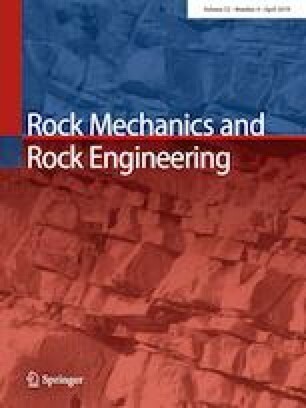 The understanding of fracture propagation patterns and geometry manipulation is critical for safe and effective use of reactive fluids in the subsurface, such as in hydraulic fracturing and carbon geological sequestration applications. This material is based upon work supported as part of the Center for Frontiers of Subsurface Energy Security, an Energy Frontier Research Center funded by the US Department of Energy, Office of Science and Office of Basic Energy Sciences under Award Number DE-SC0001114. Additional funding was provided by the Hydraulic Fracturing and Sand Control consortium led by Professor Mukul Sharma at UT Austin. X-ray microfocus scanning was performed at the Chevron Digital Petrophysics Laboratory. Additional 3D fracture geometry from tomography performed in this paper is available at Digital Rocks Portal.